So day 3 of VLCD and I am happy. Very happy with my choice of hHCG, to start this round I used: Advanced Strength Homeopathic HCG Weight Loss Formula with Amino Acids and Vitamin B6 & B12 + Diet (1) Large 2oz . My first bottle of hHCG I used when i started the HCG diet last year was a different brand and i was very hungry and grumpy for my first 2 days of VLCD. Not the case with these drops. I am a very happy camper. Mr. Scale has been saying nice things every morning so that is good news too. I will say that I am currently down over 10lbs and things are progressing smoothly. I am sure the weight is all water, but none the less things are working and I am happy. Pulsed In my blender until smooth. YUMMY and satisfying. I also prepped myself some of my own refrigerator pickles, they take about a day int he fridge to get good so tomorrow I shall be having pickles for one of my veggies. I love tilapia and pickles. YUM. 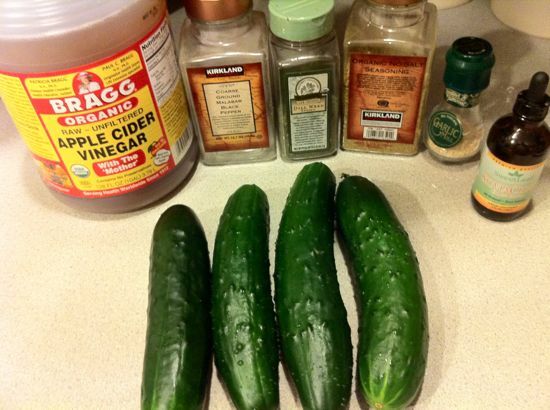 My ingredients: Cucumbers, ACV, black pepper, Dill Weed (in the summer my wife has fresh dill form the garden), No SALT, Garlic, & Stevia. I peel the cucs cause the skin is too tough. I then slice them and a little onion into a quart bag. pour in half ACV/ half water and a bunch of spices. The amounts? i have played with it and have settled on what i like, i advise you play with it too. 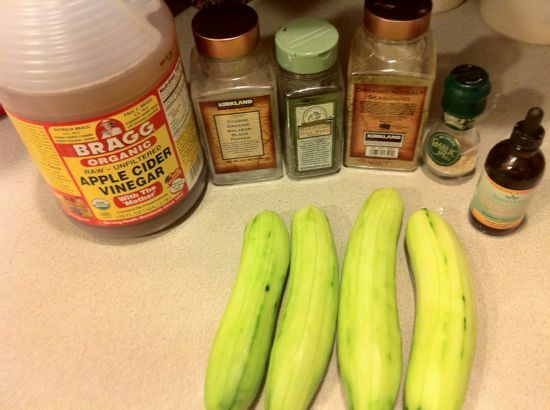 definitely need some water if your vinegar is strong or your pickles will be way over the top. A few drops of stevia bring it all together. I also sometimes put in some hot sauce. depends on your tastes. 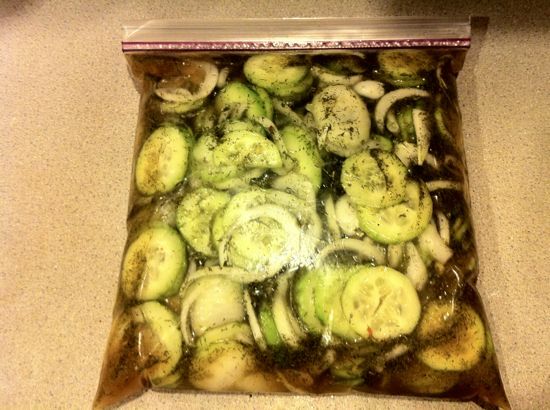 I make about 4-5 pickles at a time I keep the juice in the bag and can use it more than once. The pickles keep in the juice for about a week. I will eat about 8-12oz at a time depending on my calorie budget and mood.